Following hundreds of public meetings and thousands of public comments, California today released the final, refined environmental documents for WaterFix, an essential effort to modernize the State’s water infrastructure. The Final Environmental Impact Report (EIR) and Environmental Impact Statement (EIS) describe environmental impacts that could arise from modernizing California’s infrastructure and includes measures to avoid or minimize those impacts. The document analyzed 18 project alternatives, including the status quo, and ultimately concluded that WaterFix, known as Alternative 4A, was the best option for both increasing water supply reliability and addressing current Delta ecosystem concerns while minimizing environmental impact. WaterFix was chosen because of its ability to provide a reliable source of clean water while minimizing unnatural flows in the Sacramento-San Joaquin Delta that harm native fish and habitat. More than 100 alternatives were also considered in the development of the WaterFix EIR/EIS and screened out for lack of feasibility or public benefit. WaterFix is the State’s plan to upgrade infrastructure in the estuary where two major rivers – the Sacramento and San Joaquin – meet before flowing to San Francisco Bay. The Delta provides critical habitat for wildlife, including several endangered or threatened species of native fish. The State’s two biggest water projects, the State Water Project and the federal Central Valley Project, deliver water that passes through the Delta. Together, the two projects deliver water to 25 million people across California. Water project operations in the south Delta are increasingly curtailed to protect listed fish species. WaterFix aims to reduce that conflict so that water supplies are stabilized and harmful reverse flows are reduced. The project consists of three new intakes in the northern Delta and two 35-mile-long tunnels to transport water to the existing pumping plants in the south Delta. New intakes and tunnels would also help guard water supplies against saltwater intrusion as sea levels rise and in the event of an earthquake or storm powerful enough to destroy levees in the low-lying Delta. The product of 10 years of study, analysis, and public input, California WaterFix is a key element of the Brown Administration’s five-year plan to build more reliable, resilient water systems and to restore important ecosystems. The basic elements of WaterFix were chosen in order to satisfy the 2009 Delta Reform Act, which established the co-equal goals of providing a more reliable water supply for California and protecting, restoring, and enhancing the Delta ecosystem. The 2009 law directed State agencies to analyze a reasonable range of Delta conveyance alternatives, including various routes and carrying capacities. Now that the EIR/EIS is completed, Biological Opinions are expected to be finalized in early 2017, clearing the way for final environmental clearances, completion of other necessary agreements, and construction beginning as soon as 2018. Association of California Water Agencies (ACWA) Executive Director Timothy Quinn issued the following statement today regarding the release of final environmental documents for the California WaterFix project. “The release of these documents is another positive step toward a long-term solution to improve water conveyance infrastructure in the Delta. They reflect refinements made after extensive public and scientific input to help develop a viable project that can address both water supply and ecosystem problems and improve the overall resiliency of our state’s water supply system. “ACWA supports a long-term Delta solution as a key element of the comprehensive strategy outlined in Governor Brown’s California Water Action Plan. All elements of that plan – including investments in surface and groundwater storage, sustainable groundwater management, ongoing improvements in water-use efficiency and development of a more effective water market – must move ahead to create a more resilient water system that can meet today’s challenges and those on the horizon. Responses from organizations representing thousands of business and labor groups, water agencies, family farmers, environmentalists, and others came today after the final Environmental Impact Report (EIR) on the Governor’s California WaterFix which was sent out by the Department of Water Resources (DWR). The groups voiced their strong support for moving this project forward as quickly as possible and said that updating California’s aging water infrastructure through WaterFix is critical to protecting water security for two-thirds of Californians. The CEO of the Building Industry Association of Southern California, Inc. (BIASC), Mike Balsamo, was one of the many to respond to today’s release of the final environmental impact report. According to DWR, the final EIR is released after more than 300 days of public review and 600 public meetings throughout the State considering the draft versions. It includes responses and revisions based on more than 30,000 public comments. The documents released today include review of 18 project alternatives, including the status quo, concluding that the WaterFix is the only viable plan to protect our state’s water supply and the environment. DWR also reported considering hundreds of alternatives in the development of the WaterFix that were screened out due to lack of feasibility or public benefit. 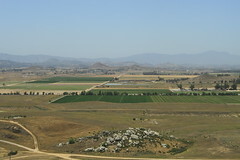 The WaterFix was chosen in order to satisfy the 2009 Delta Reform Act, which established the co-equal goals of providing a more reliable water supply for California and protecting, restoring, and enhancing the Delta ecosystem. With today’s release of the final Environmental Impact Report (EIR) on the Governor’s California WaterFix by the Department of Water Resources (DWR), organizations representing thousands of business and labor groups, water agencies, family farmers, environmentalists and others voiced their strong support for moving this project forward as quickly as possible. These groups say that updating California’s aging water infrastructure through WaterFix is critical to protecting water security for two-thirds of Californians. “Combined with the Governor’s Eco Restore program, the Delta pipelines will do a tremendous job of both protecting California’s water supply system against climate change and sea level rise, and restoring the Delta ecosystem. The pipelines can help correct problems caused by too much water flowing in an unnatural direction across the Delta, and Eco Restore will provide necessary habitat restoration, reviving threatened California salmon and other species,” said Dr. Gerald Meral, California Water Director, Natural Heritage Institute. According to DWR, the final EIR is released after more than 300 days of public review and 600 public meetings throughout the State considering the draft versions. It includes responses and revisions based on more than 40,000 public comments. The documents released today include review of 18 project alternatives, including the status quo, concluding that the WaterFix is the only viable plan to protect our state’s water supply and the environment. Businesses and labor groups across California say this project needs to move forward as quickly as possible. Today, the California Department of Water Resources (DWR) announced that the State Water Project (SWP) water allocation increased from 20 to 45 percent of contracted amounts. The initial allocation (20 percent) was boosted in less than a month due to December storms increasing reservoir levels. This means about 450,000 acre-feet (af) of SWP water will be available to Kern County in 2017—compared to the contracted amount of about 1,000,000 af. While California is on track for a wet year, multiple wet years are desperately needed to replenish the state’s groundwater and reservoir storage. Unfortunately, even in wet years, it is extremely unlikely to reach a 100 percent allocation, due to restrictions on the SWP imposed by the federal government. Furthermore, the Agency and its participant local water districts are contractually obligated to make the full payment for their SWP allocation, whether they receive the water or not. “It’s like paying the full mortgage on your house but having the bank say you can only use some of the rooms. What California desperately needs is a comprehensive solution to the state’s longstanding water crisis, which could come from the California WaterFix efforts,” added Page. The Agency is part of a diverse coalition of California water agencies that have invested more than $240 million to develop California WaterFix—a prudent, realistic, science-driven and achievable approach to fixing California’s aging water delivery system, protecting its economy and ensuring related public safety. This approach includes a tremendous amount of public review and comment. It covers five main areas: water security, climate change adaptation, environmental protection, seismic safety, and affordability. Jeffrey Kightlinger, general manager of the Metropolitan Water District of Southern California, issues the following statement on today’s release of the final environmental impact report/statement for the ongoing California WaterFix process. “This historic milestone completes the process of identifying the preferred project to modernize the state water system, reduce environmental conflicts and increase water supply reliability for California. After more than 10 years of planning, analysis and debate, the time for decisions is finally in sight. The pending transmittal of draft biological opinions to the state Independent Science Board will start the review process to produce state and federal permits detailing how California WaterFix will operate in compliance with the Endangered Species Act. “We need a future water system that can capture sufficient supplies when storms reach Northern California. This critical mission cannot be performed by anything smaller than what is proposed. This final proposal reflects a project downsizing of 40 percent from what public water agencies had originally identified, a tough but necessary compromise with the wildlife regulatory agencies. Today, the Delta Tunnels Environmental Impact Report/Environmental Impact Statement (EIR/EIS) was released online. As we mentioned yesterday, this document is not a green light for the Delta Tunnels but rather should be understood as the submission of homework by sponsoring agencies (California Department of Water Resources and U.S. Bureau of Reclamation) to be evaluated by state and federal regulators who will determine if proposal can meet environmental and water quality standards under the California Environmental Quality Act (CEQA) and the National Environmental Policy Act (NEPA). A feat no previous version of the proposal has achieved. “Governor Jerry Brown told the Sacramento Bee that Delta Tunnels proposal is based on the best scientific thinking. That is simply not true. He left out that fish do worse with the tunnels, and that millions of Delta residents will be left with degraded water that will not meet Clean Water Act standards. “The Governor failed to remember the dangers for Delta residents associated with the project, from toxic algal blooms, to increased boron and selenium in drinking water, to greenhouse gas emissions equivalent to 600,000 new cars on the road each year from construction. The California Department of Water Resources and U.S. Bureau of Reclamation today released the Final Environmental Impact Report/Statement for California WaterFix, culminating more than ten years of extensive research, planning and review of solutions in the Sacramento-San Joaquin Delta. State and federal agencies carefully analyzed 18 projects in great detail through the EIR process. California WaterFix emerged as the most responsible, viable and economically feasible solution – widely supported throughout the state and balancing the needs of people and the environment. Challenges in the Delta have intensified as outdated infrastructure, environmental impacts, climate change, pollution and other factors threaten both water supplies and an important ecosystem. The preferred project would modernize the water delivery system by constructing new intakes in the northern Delta and two tunnels to move the supplies underneath rather than through the fragile Delta, helping to protect endangered fish species from entrainment into project pumps. Twenty-six million people, businesses and farms depend on the State Water Project and Central Valley Project for clean, reliable water supplies. By utilizing tunnels that carry water under the Delta, rather than through it, California can realize benefits ranging from drinking water security to climate change protection, instead of depending on an aged levee system highly susceptible to both rising sea levels and collapse during earthquakes. The California Department of Water Resources and the U.S. Bureau of Reclamation today released a jointly produced Final Environmental Impact Report/Statement for California WaterFix, the project designed to modernize our state’s primary water delivery system, secure fresh water supplies and protect the Sacramento-San Joaquin Delta.